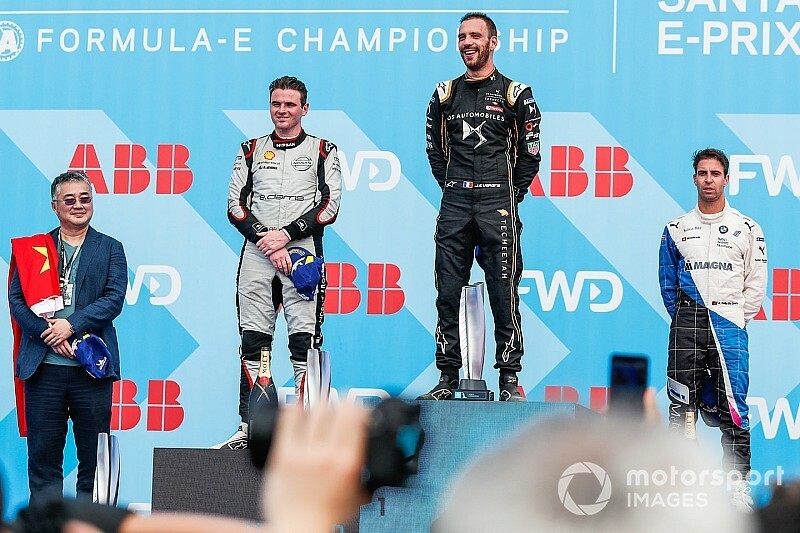 Reigning champion Jean-Eric Vergne scored his first victory of the 2018/19 ABB FIA Formula E season at Sanya in China, passing poleman Oliver Rowland before a red flag period. 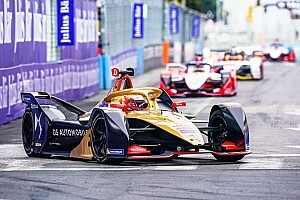 Rowland held the lead for much of the race, before the Nissan e.dams driver was passed by Techeetah's Vergne at the final corner on lap 19 with 21 minutes remaining. The race was stopped with 12 minutes left on the clock after contact between Andre Lotterer and Alexander Sims put the latter in the wall and forced the BMW man to stop on track. When the race restarted after a near 15-minute delay, Vergne led away once the safety car pulled in – but was placed under investigation for dropping too far behind before it came in. Rowland looked to mount a late surge, but was told to “secure the result” by his Nissan team. 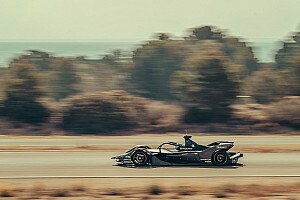 On the cooldown lap, it was confirmed that Vergne had escaped with only a reprimand, becoming the sixth different winner of the season in as many races. Behind second-place finisher Rowland, Antonio Felix da Costa (BMW) completed the podium. The race ended again under a full course yellow after a clash between Sebastien Buemi (Nissan) – who had to start from pitlane after being handed a penalty for a braking infringement during qualifying – and Robin Frijns (Virgin) heading into the Turn 8 hairpin. Buemi had charged from the back at the start to run behind Frijns in P8, but they came together at high-speed on the run through the long curve of Turn 7, which sent Frijns out of control and into the back of Lucas di Grassi (Audi). 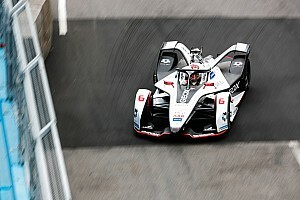 Lotterer finished fourth after a late move on Daniel Abt (Audi) – which was investigated and found to be acceptable – with Buemi crossing the line in sixth. Mahindra Racing pair Jerome d’Ambrosio and Pascal Wehrlein finished seventh and eighth, with Jaguar’s Mitch Evans and Venturi’s Edoardo Mortara completing the top 10. The other non-finishers were Nelson Piquet Jr (Jaguar), who hit the wall at Turn 2 shortly before the red flag, and Gary Paffett – a suspected driveshaft problem stopped the HWA driver. 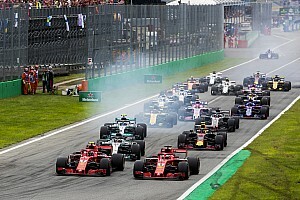 Jose Maria Lopez also pulled off early on, while Stoffel Vandoorne and Sam Bird retired after the former ran into the latter on the opening lap, just as a full course yellow was called for Felipe Nasr's Dragon car failing to get away at the start. Da Costa now leads the championship by three points from d'Ambrosio, who finished seventh, while Vergne and Bird are tied for third.